When you think of retirement, you may automatically hear sounds of Jimmy Buffett playing in the background as you sit on a white-sand beach with a piña colada in your hand. You’ve saved for years to reach this milestone, and enjoying retirement is something we all deserve. However, letting dreams overtake reality can lead to stressful financial years ahead. Don’t stop fine-tuning your personal retirement plan once you quit your 9-5. Rather, continue practicing smart financial habits, and watch for the following seven signs that may indicate your retirement lifestyle needs a reality check. Most experts agree that within the first year of retirement, you shouldn’t withdraw more than 4 percent. If you take out more than that in the first year, you may be withdrawing faster than your money can grow. That means, if you’ve saved $1,000,000, in the first year of retirement, you should pull out no more than $40,000. Without supplemental income, taking even just 5 or 6 percent of your savings means your personal retirement plan could collapse. By sticking to the 4 percent rule, your money should last for at least 30 years. Each of these factors can change each year, and they will all affect how much money you’ll need to maintain a lifetime of financial comfort. Years of saving and preparation have allowed you to retire, but your personal retirement plan can’t stop there. As a retiree, your new job is to enjoy life, while ensuring you’re able to afford the cost of your new lifestyle. As you plan your new lifestyle, it can be difficult to know what to consider when retiring. But, by writing down what your savings account looks like, what money you have coming in, and a projection of your investment increases, you can start to detail how much money you have at your disposal each month. Laying out a detailed budget so you can visualize your debt management is essential. In fact, according to a study by Charles Schwab, Americans over 50 who are successful planners and budgeters not only maintain their wealth during retirement but actually achieve a net worth three times higher than those who didn't plan. During your retirement planning, you may have run across the “75 percent rule”, which is the portion of your pre-retirement salary you should plan to spend each year of retirement if you want to maintain a similar lifestyle. This rule is generally a wise idea, but only if you take inflation into consideration. 75 percent of your pre-retirement income today will look different 10 or 20 years down the road. When projecting retirement funds, plan on expenses increasing by at least 3 percent each year, which matches historical inflation rates. If your spending starts to feel off-course, work with your personal financial advisor to revisit your investments. Even small tricks like maximizing your Social Security benefits are helpful if you’re savings are starting to misalign with your spending habits. Retirement tax planning should be a part of your overall personal retirement plan. If it’s not, you may have a few surprises coming your way. 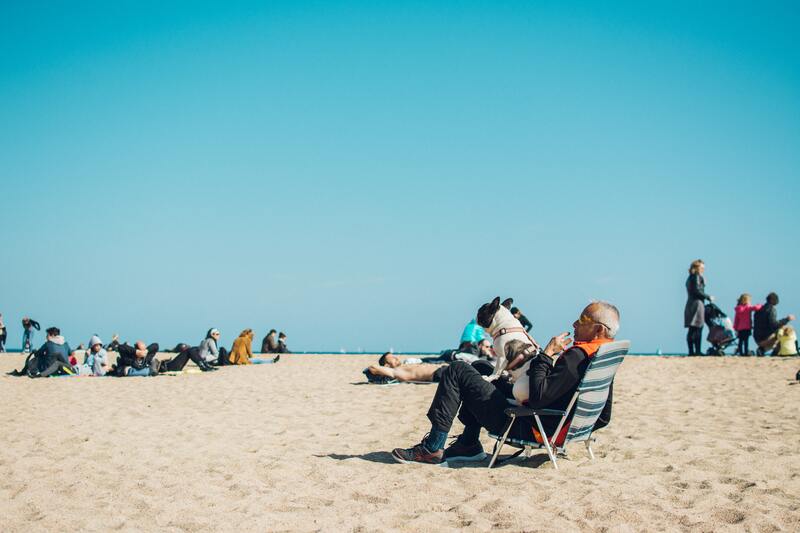 Depending on which state you decide to live in, retirement might mean you’re decreasing, or even eliminating, state income tax from your financial mix. But, that doesn’t mean you’re out of the woods when it comes to working with the IRS. Additionally, when you hit age 70 ½, if you have an IRA, you must take out required minimum distributions (RMD) – and RMDs are taxed. If you neglect to withdraw the RMD, the IRS will penalize you 50 percent of the money you were supposed to withdraw. These taxes and penalties aren’t always taken into consideration when creating a personal retirement plan. If taxes become a financial burden to you, it might make sense to revisit your budget and pull back on spending. During the decades of your retirement planning, you’ve likely considered your life expectancy and the growing amount of healthcare expenses that may occur during retirement. One component of retirement that plays a considerable role in those factors, is the amount of physical activity you get while in retirement. If you find that you’re spending a little too much time in front of the television, you might need to readjust the amount of money you’ve stashed away for the healthcare portion of your retirement savings. Increasing the risk of these diseases may also increase the number of doctor visits or hospital stays you can expect throughout your life. More frequent visits to the doctor translate into increased medical spending. Unless you’ve factored this into your initial budget, you may need to rethink how you spend your days away from the office. Common complaints retirees have is that their new, slower-paced lifestyle is boring. To curb monotony, many retirees start spending on entertainment. Whether it’s a vacation or a monthly game of golf, unless you’ve specifically budgeted for increased entertainment spending, you might be overextending yourself. If your spending is starting to eat away at your savings, it’s time to reassess your lifestyle and your priorities. Begin thinking about lifestyle changes you can make. Does it make more sense to start filling your time with volunteer work, which is both free and fulfilling? Would a part-time job help you feel more financially and cognitively fit? If you’re not willing to adjust your extracurriculars, what can you do to re-prioritize? For example, if you want to travel more, would you be willing to downsize your current home? You’ve worked your entire life, so taking a break and seizing new opportunities is great so long as you can also afford to keep up with your new lifestyle. Keeping sight of your financial goals, whether it be growing your investments, wealth legacy planning, or just making sure you have enough to live on for the rest of your years can be a challenge. If you’ve tried it on your own, but aren’t seeing gains in your portfolio, and your money is disappearing too quickly, it’s time to consult with the experts. Consider working with a fee-only advisor. Fee-only advisors don’t take commissions from product sales, which eliminates conflicts of interest, and means your best interests will always come first. Working with an expert can help you rework your budget so you can have more confidence during your retirement years.